Can You Sell a Tax Sale Property Back to the City? Can you sell a tax sale property back to the city? Probably not. But here are a few tips to make the most of your investment. Q: My son bid on a property at a tax sale in Philadelphia back in 2010. He found out after he bought it that the property had no value due to the large number of repairs required. He did try to do some of the major work started to bring the property up to code, but fell ill and never finished the repairs. The property has accumulated additional real estate tax debt and penalties. The question is, how can he sell the property back to the city? It would cost more to build the property up than it is worth. A: We frequently get questions from our readers about buying cheap properties at tax sales to make a quick buck. Your question is exactly why we tend to respond to these questions with detail about the risks buyers take when they purchase properties at tax sales. When properties are lost at a tax sale, many times the owners of those properties purposefully decide to stop paying the taxes and are ready and willing to lose the home rather than continue to pay both the expenses for the maintenance and upkeep of the property and also the real estate tax bill. Our advice has always been to tread carefully when buying homes at a real estate tax sales or foreclosure sale because you just don’t know what condition the property is in or what it will take to make it habitable. Sam recently encountered a buyer who wanted to buy a property at a foreclosure sale. This buyer found out that the home had $20,000 of unpaid real estate taxes. The home had two mortgages with combined values of over $100,000 and the roof was about to collapse. Most buyers would have run in the other direction. But, in this particular situation, the home was still a good deal due to the value of other homes in the area. Had the home been located elsewhere, no knowledgeable buyer would have touched the home. Your son now has sunk money into a property that still doesn’t have much value, if any, even after making some repairs to the home. You need to know that the city usually never buys a home back in your situation. The city is looking to get rid of those homes and have new buyers pay for the repairs. We’d advise you to have your son talk to a couple of real estate agents that work in the neighborhood in which the home is located. Those agents may have other builders or developers that may want to take the home off of your son’s hands. On the plus side, you may find that someone might make your son whole. 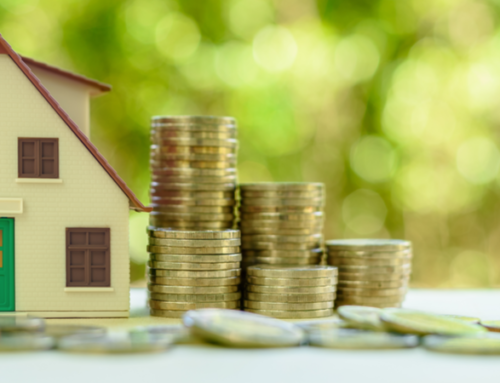 On the negative side is you might not find anybody looking to take title to the home and your son might lose the property to a tax sale in the same way that he purchased it. You’ll only know what can come about the property if you do some legwork and find some real estate agents that work the neighborhood or find home builders or other contractors that work in that neighborhood that have an idea of what can be done with the property and can save your son from losing more money. Good luck. Tax Sale and Foreclosure Sale are almost opposite concepts. If the man actually gained full legal title at the thing he calls the tax sale then, no the city will not buy it back or even accept it back for free. In any event, as long as he or you stops paying the real estate taxes the house will soon be taken away from him or you by another tax lien investor. Its the greater fool concept. Don’t forget only the seller has to sign a deed. You may be able to find a fledgling LLC that would take the Deed voluntarily.